This adorable plush lamb is sure to grab the heart of any child. 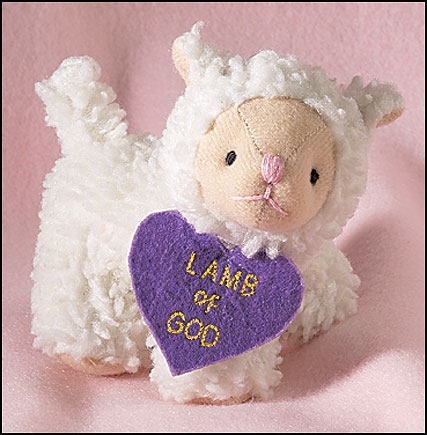 Comes with a plush heart attachment embroidered with the wording "Lamb of God." Great for gifts, giveaways and Easter basket stuffers.